From fragments of British life in the austere fifties and early sixties - boys in short trousers, cane wielding teachers, and glimpses of American affluence on the TV and in movies – and that conspiracy theory that the moon landing was staged in a Hollywood film studio, Sally Gardner has constructed a dystopia whose feeling comes close to that to be found in that most chilling of its modern adult prototypes: 1984. The social and political situation is not explained in any detail, rather Gardner concentrates on the way in which it impinges on the life of one schoolboy, Standish Treadwell and his family. She makes the experience both immediate (even familiar for a man who spent his early school days in short trousers), strange, understandable and, gradually, deeply disturbing; until the murder of a boy by a teacher in the school playground seems only slightly out of the ordinary. The novel ends in a symbolic act of resistance, but, like its illustrious predecessor, it’s not so much about politics but about the crushing of the human spirit, which can begin in a classroom as well as anywhere else, and about how friendship and family can sustain you when everything else fails. Told in very short chapters, in Standish’s own words, it’s not a difficult read, although there are flashbacks that require some concentration. 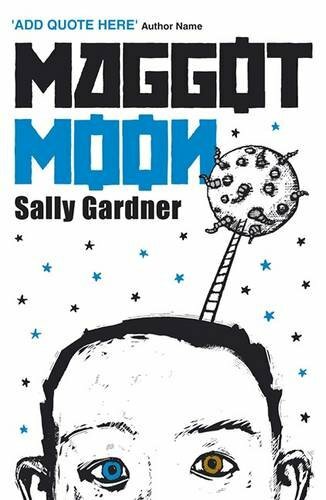 Sally Gardner’s intention in writing the novel is to represent how a dyslexic child might see the world and Standish’s perspective and his sardonic humour add another dimension to this remarkable novel.